Interested in posting your grant or funding opportunity? The 2018-19 Core Fulbright U.S. Scholar Program competition is now open. Opportunities are found in the newly redesigned Catalog of Awards. Register your interest or refer colleagues to receive information about the Fulbright Scholar Program. IIE/CIES contacts all referrals, providing valuable information about the award offerings and application process. 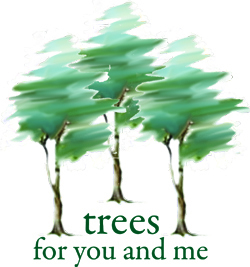 The Trees For You and Me (TFYM) Grant is a collaboration between the American Association of Zoo Keepers (AAZK) and Polar Bears International. The TFYM Grant is a forest-based carbon offset grant that utilizes funds raised by Trees for You and Me Chapters. Grant applicants do NOT need to be AAZK members. Any individual with a project which would impact reforestation of some part of the world, with the larger goal of off setting atmospheric carbon to benefit polar bear habitats, or community impacted by deforestation is invited to apply. Applications for the grant are due on May 1st, either submitted electronically or by mail. Grant applications are anonymously reviewed by the AAZK Grants Committee and monies are awarded in December. Fundraising for TFYM ends on November 1, and projects are expected to start January of the following year with regular progress updates. We will not know how much money is available to be awarded until the fundraising officially ends in November. Available amounts in past years have ranged from $12,000.00 US to $25,000.00 US. Applicants are to disclose their requested amounts in the application form. Attached are the application form and more detailed instructions.